1. I'm running on a English platform PC, and the Chinese characters are all kind of mushed up. 2. No cut-scenes (automatically skips them). I reached the city and haven't realize that Xiao Yao has been captured and I thought he might show up to see Yi Ru. 5. Xiao Yao looks like THAT?! 7. Worst of all reason! The background music is the same throughout the game!!! 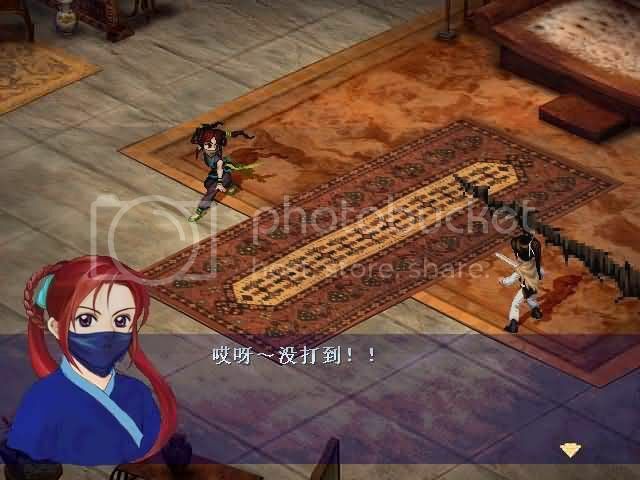 It's the theme song when you are in the second city 苏州 in the first game...Oh my god it gets sooo annoying...When you exist a city, the music fades away...Then the same one starts from the beginning again..EVEN IN BATTLE!! When I bought Pal2 and played it, I once felt regretted. Because there is bad too much with advertisement of Pal2 that it comes with the normal final result of Pal2. it lets me feel disappointed. Cast aside the views of Linger and Xiaoyo, in fact, it can be regarded as the good game. It's a pity, its story story is unsatisfactory. Fieryshadow wrote: aw so what happens to Xiao Yao and Yu Rue? wonder how she got revived.. Remember the 36 (bug looking things that revives the character for 1 turn in battle) you have to collect for Sheng Gu in XJ1? That was used to revive Yue Ru's body...No soul, just a shell. I thought that was for healing LingEr~ what did XiaoYao have to get to heal LingEr then? so..is this one of the endings, or is it fanmade? Fan Made. Ling Er died. Secret ending. Two secret ending to the game. This is one of them. Not in Pal 2. The secret endings are only in the "New Pal" or "PalXP". 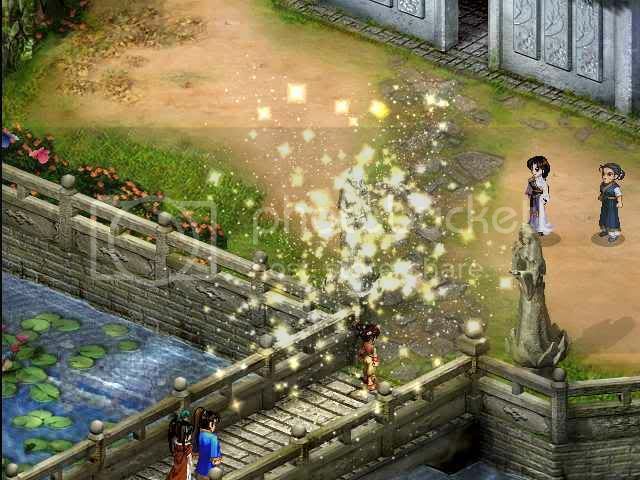 EmilyHsiao wrote: When I bought Pal2 and played it, I once felt regretted. I thought the story was fantastic. There was a very strong link to XJ1. How the demons became stronger and organised as a result of the 'suo yao ta' (demon tower) in XJ1 being destroyed by xiao yao. 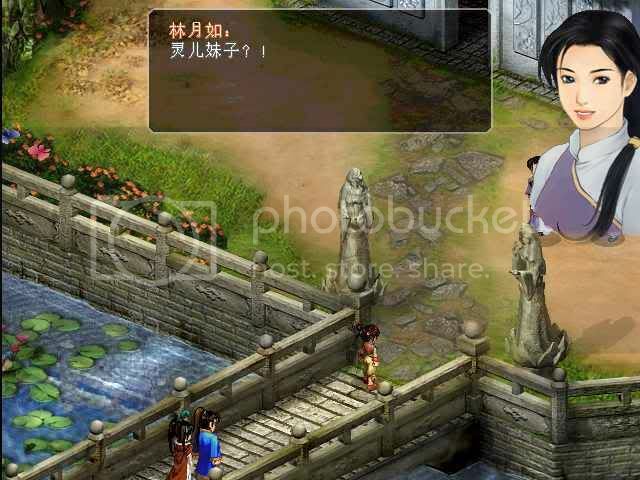 And Jiang Wan'er (daughter of the elder) actually became the master of xiao xia sect. I think the character of Zhang Qi Shi (demon premier) was really cool. Too bad we had to kill him towards the end of the game. haha. And of course.... Tian Gui Wang (Ghost King) is hilarious, and his son like him. To me, the only disappointment of the game was that the animation during fights were not really good. And towards the end of the game, your characters become overwhelmingly strong.... battles are too easy. Oh right, so..if that is from XJ1, how is YR alive in XJ1? She was revived from the worms you gave Sheng Gu.